Can you get fitter, stronger, faster and leaner without any gym equipment? Can you get a full body workout done in your hotel room? Are you looking for more than just the usual Push Ups, Sit Ups and Jumping Jacks? 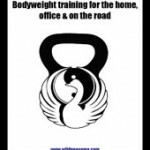 Over the years Coach Dave Hedges has collected a huge array of bodyweight only training drills from a variety of martial cultures around the world. He’s used them to keep himself fighting fit while on active duty as a close protection officer, while travelling through Asia and in many many martial arts classes in various sports halls around the world. 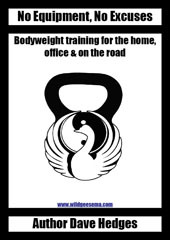 All this experience has been collated into this manual with dozens of sample workouts, so you too can boost your fitness anywhere, anytime, with no equipment and no excuses.